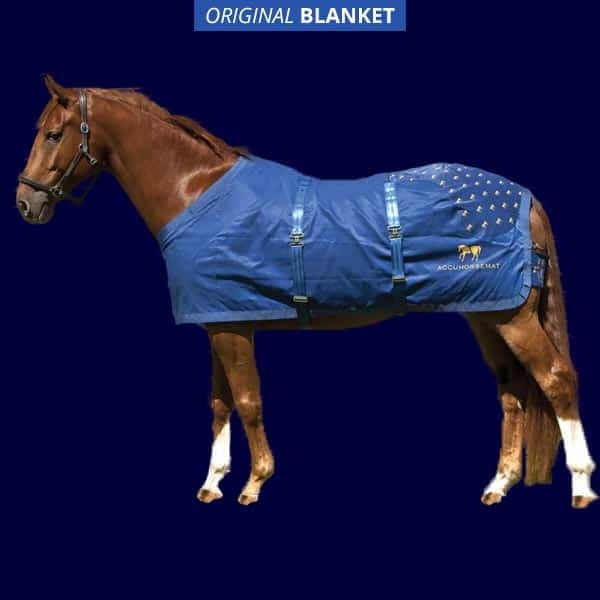 The new and improved lightweight version of the Accuhorsemat for warmer climates. 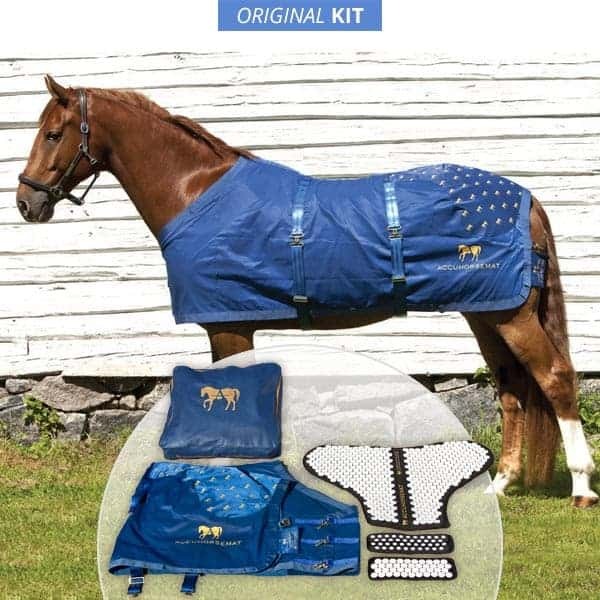 Comes with one lightweight blanket, one hindquarter acupressure mat, two shoulder acupressure mats and a case to store the blanket. 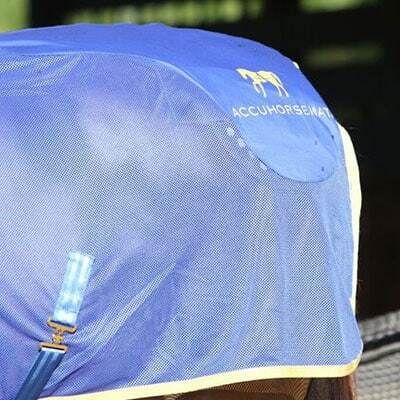 NEW Accuhorsemat Cooler – our new, improved lightweight version of the Accuhorsemat. 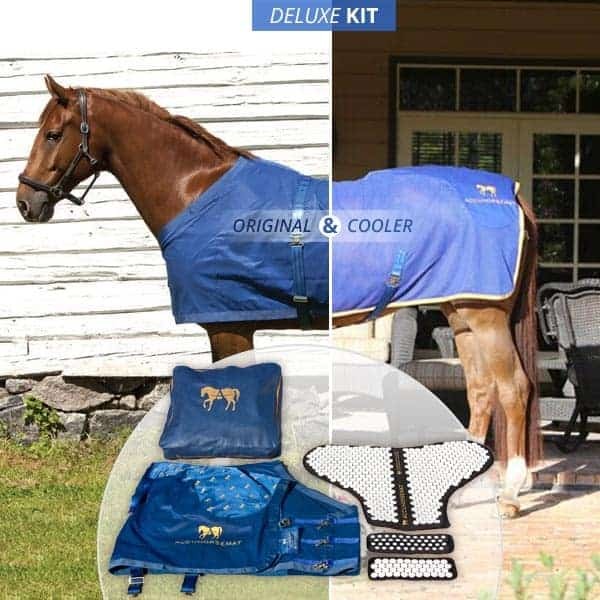 It has the same features and benefits as our original Accuhorsemat, but with a durable yet lighter weight fabric that’s cooler for horses in warm weather regions. 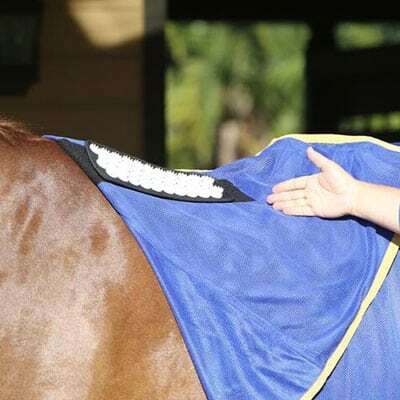 Velcro front closure straps allow for adjustments to best fit your horse; criss-cross surcingles, adjustable shoulder mats. 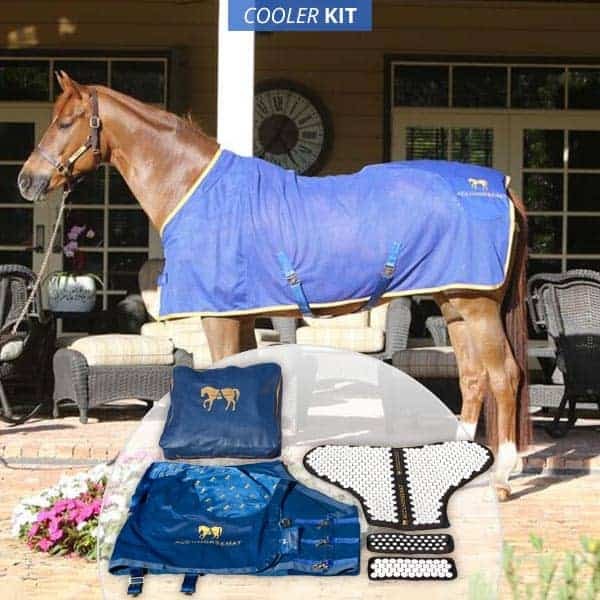 Kit includes Cooler blanket, one hindquarter acupressure mat, two shoulder acupressure mats and a storage bag.